The advent of small portable telemetry and holter devices created a need for a system to secure the device to the animal that is comfortable and does not inhibit the animal's movement as well as protects the leads and device. Traditional tape and bandage methods may secure the device to the animal but are time consuming to apply, uncomfortable for the animal and often result in damage to the lead wires during bandage removal. The VEST for Remote/Portable Monitoring addresses all of these issues. The VEST for Remote/Portable Monitoring consists of the DogLeggs' VEST, Device Case and Additional Stabilization Strap. The VEST has a small opening along the dorsal aspect on the right side to connect the leads from the animal to the device. The Device Case secures to the VEST using VELCRO® Brand fasteners and the Additional Stabilization Strap provides further securement of the Device Case to the VEST. This system protects the device and the VEST protects the leads. The Device Case is made to fit the specific device model. One Device Case may be utilized for multiple VESTs. It is still necessary to secure the leads to the animal by way of usual methods. Size is based on measurement #2, which is the circumference of the chest. 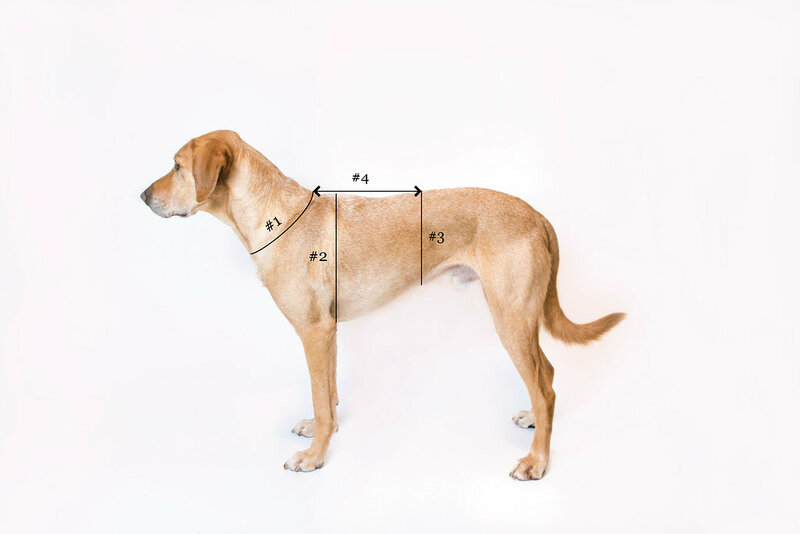 Please use the table below to select the best size for your dog. 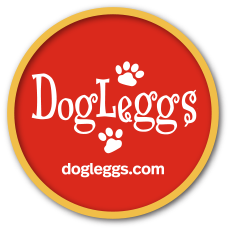 The DogLeggs' VEST and supplemental components are constructed from a lightweight material that is VELCRO® Brand fastener compatible. This material is highly breathable and has wicking properties. The material does not pull at the fur and is impregnated with a natural fiber that reduces odor and inhibits bacterial and fungal growth within the product. VELCRO® Brand fasteners are used for closure and attachments. The product and supplemental components are machine washable. Copyright © 2008-2019 DogLeggs.com | All Rights Reserved.